Metro Public Schools Director Dr. Shawn Joseph outlined on Tuesday what he calls a "painful" set of proposed budget cuts. Because of a drop in city revenue, MNPS got $17 million less than they asked for from the city of Nashville for the 2018-2019 school year. Departments facing the biggest cuts will be the central office and nearly 90 Reading Recovery positions. 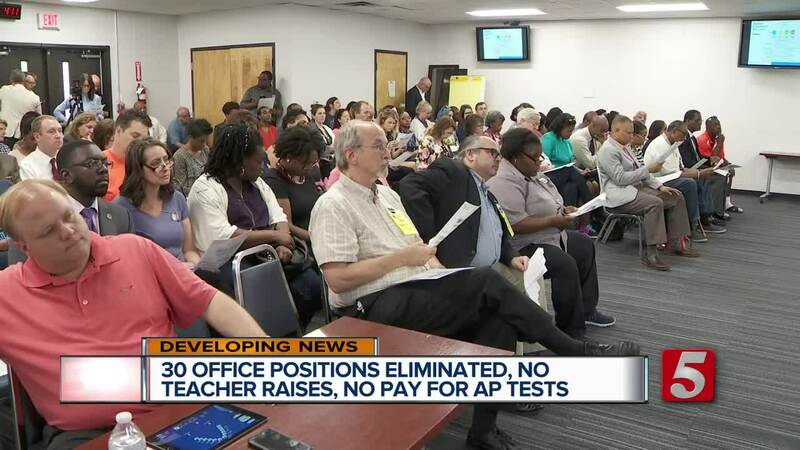 At a budget hearing on Tuesday night administration officials said because of the drop in funding, no employee will be getting a raise for the coming year. But officials from Dr. Joseph's office continued to stand behind their commitment to not reduce the budgets of any individual schools. "We were dealt a hand that was hard to count," Dr. Shawn Joseph told school board members. School board members will now have a week to review the revised budget before they vote on it next week.